You read that right! The upcoming and in development movie for the famous Marvel icon will draw its inspiration from Stephen Speilberg’s JAWS. At SDCC this past weekend, fans of the comic book antihero finally got the news that they have been long awaiting for. The last Spawn movie was released about 20 years ago, so fans have previously stated that the film is long overdue. (20 years ago or not, I still find this film enjoyable!). Listen, I’m going to paint it for you. The movie is going to be a dark R… If here’s PG-13 and here’s Deadpool and here’s Logan, we’re going to be here. It’s going to be dark. It’s going to be nasty. When Todd McFarlane was announced as both the writer and director of the Spawn movie under Blumhouse Productions, the excitement of Spawn fans everywhere was delightfully contagious. McFarlane teased, however, this may not be the Spawn you recognize. During the Comic-Con circuit, McFarlane could not contain his excitement when it came to describing his vision about the upcoming film… and I mean who could blame him? Directing a Marvel film is certainly something many directors dream of! 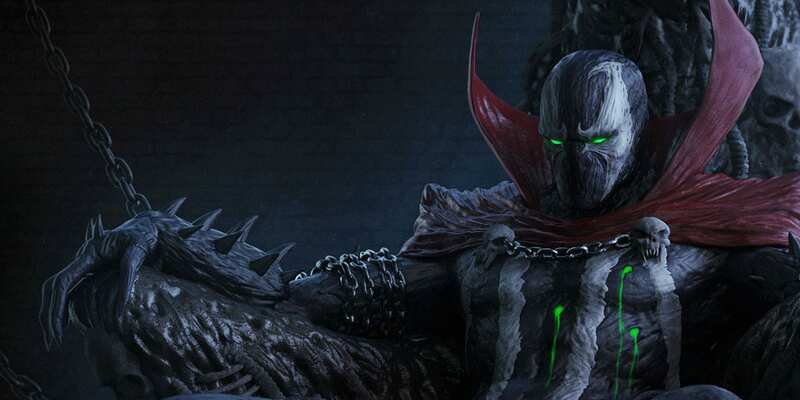 He also stated that Spawn, the famous antihero of the supernatural horror comics who battles both gangs and demons, would not be the main character of this film. In another interview with ComicBook.com , McFarlane stated that the Spawn movie would draw inspiration from Steven Spielberg’s 1975 classic JAWS. Now, you may be finding yourself asking… wait a minute, this is a movie about an anti-hero…. how is a shark movie an inspiration for this? For those of you who have seen JAWS, you know that the gigantic Great White Shark still had a way of instilling that terror, even though he wasn’t necessarily visible for over half of the film. The music and dramatizations were enough to imply his presence. The film may have been named after the legendary shark, but he certainly wasn’t the lead role. McFarlane told Vulture that he is eyeing Wolf of Wall Street star Leonardo Dicaprio to take up the role of his “Sheriff Brody” character in Spawn. No official release date has been announced for the Spawn reboot, but check back with us for more details! Fan Art Friday in a ‘Flash’!